No, that’s not the mid-summer Saturday afternoon TV schedule of films and repeats, but a fitting heading to the EERC’s entry list this weekend. Just a one day meeting, on Saturday, cramming all four of the club’s series in, as well as a guesting Alfashop Alfa Romeo counter too, and the entry is looking very healthy. In Britcar, the Porsche 935 Replica of Richard Chamberlain / John Allen has yet to post the result it deserves, being plagued with tyre and mechanical issues, but the Porsche GT3RS of Peter Cook and Franck Pelle has been driven hard and fast to a string of good finishes, notably an overall win at Snetterton. 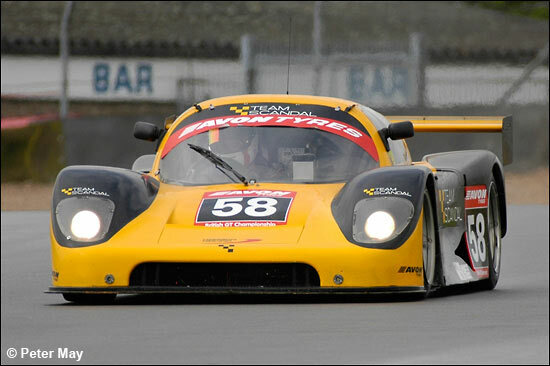 Significant competition will come, however, from the Rollcentre Mosler of Kevin Riley and Ian Flux (running on Dunlops this week, of course), and the ever-improving Nigel Mustill, his Opel V8Star being shared at Donington by the exuberant Phil Bennett. The teutonic hold of the GT3 class is broken only by the Bo McCormick / Calum Lockie Ferrari 360, and the similar Damax car of David Back, but otherwise it’s BMW vs. Porsche. Peter Seldon and Willie Moore will be bringing along their V8 GTRs, supplemented by the Bilmo vehicle of Peter Hardman and Nick Leventis, a potential winner at Spa in June, before it hit trouble as the race drew to a close. The pair of brutal-looking Torquespeed M3 E36s will be there too, taking on a phalanx of Porsche Cup machines, including those new faces. Ex-Britsports competitors Simon Leighton and John Taylor purchased the ex-Damien Faulkner winning Cup car from Team Parker in “a drunken haze during a Christmas dinner in January”, and got to grips with it for the first time a fortnight ago in the Bill Taylor Trophy at Brands Hatch, where they had a steady run. That Bill Taylor race has some considerable relevance to this weekend’s proceedings; Mark Sumpter won on the road, but second-placed Pete Chambers scooped the actual Trophy on handicap, and the pair will share Chambers’ familiar red and silver Cup car at Donington. Chambers battled long and hard for his second place in the Porsche race with burly midlander Pete Morris, the two of them forming an instant mutual admiration club as they climbed from their cars, and Morris joins Henry Firman as usual in the 911virgin.com 911 GT Cup class car. Just one more point from that Bill Taylor race; John-Marc Rotsaert (Head of R + D for Pepsi-Cola) and Jon Gaw (Sales Director of Walkers Crisps) had a stunning run in their 996 there, Rotsaert holding steady in the first half, then ex-Caterham and Clio racer Gaw hauling the car back from two laps down, before throwing it into the gravel on the penultimate lap as he tried to seize second place from the squabbling Chambers and Morris. Definitely one to watch. Of course, you should never discount a Cup class car to be at the front come the end of the race, so watch out for the GTS Motorsport BMW M3 of Harry Handkammer and David Leslie, and the Topcats Marcos Mantis of Mick Mercer and Richard Fores, statistically one of the most consistent runners in the series. The embryonic V8 Supercars series got off to a cautious start at Snetterton, Adam Sharpe showing his class in the Fords Falcon, as did Steve Wood in the Wood / Scott Racing Jaguar V8Star, Tim Hood’s TVR Sagaris, and Peter Seldon in his BMW GTR. Sharpe will be racing in Australia this weekend, but Wood / Scott, Hood, and Seldon will be returning, as will the very-welcome Tuscan Challenge brigade, including Darren Dowling and Steve Glynn. Several new and reworked cars should be breaking cover – the Peugeot XRV8 of Kelvin Burt, and Rob Compton’s 6.6 litre Vauxhall Belmont - and Warren Gilbert will be piloting the Topcats self-built TVR Sagaris (two class podium finishes in its Britcar debut at Brands Hatch). 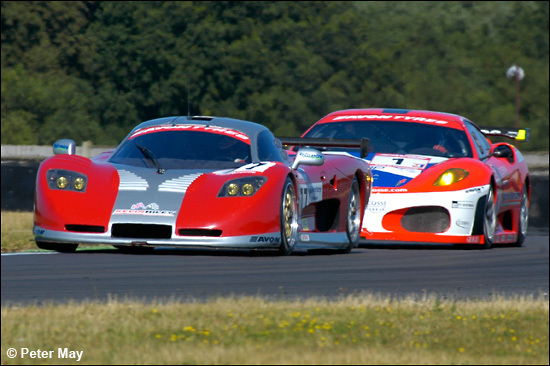 Add to this the Riley / Flux Mosler, Kevin Clarke’s Mercedes, and Willie Moore’s BMW GTR, and an exciting grid of around 20 cars looks promising. 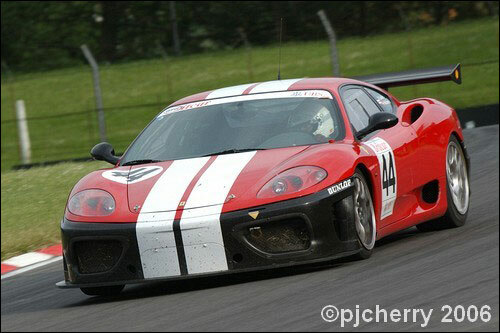 The Juno marque’s stronghold in Britsports was broken last time out at Brands Hatch, Howard Spooner (Radical), and Dave Shelton / Nigel Greensall (Yamitsu) taking the wins, and they will be back in an attempt to repeat the performance. The Juno works cars, with Mike Roberts and Dave Mountain in the driving line-ups, and privateer Rob Oldershaw, will be looking to restore the equilibrium, but will have to also contend with the Prosport LM3000 of Michael Christopher / Ian Flux, and the similar (former British GT) car of very welcome EERC seasoned campaigner Simon Scuffham. 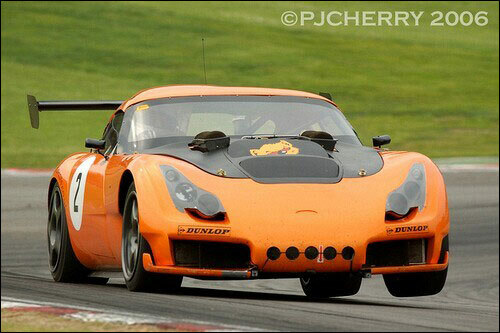 The ADR-Sport will be making its Britsports debut, in the hands of Mike Richardson, and the very busy Phil Bennett. The Production S1 result could be anybody’s call – the Brown / White M3, the Geoff Steel BMWs, the older E30 of Nigel Stephens / Fergus Campbell, and the Mardi Gras Honda Civic of John George and (again) Phil Bennett, are all strong contenders. In Class 3, it should be a straight fight between the Gary Smith / Stuart Plotnek MG ZR, and the Honda Civic of rapidly-improving novice Jonathan Ridley-Holloway and coach Simon Mason, who is a coming-man, in the Lockie / Greensall / Flux vein.